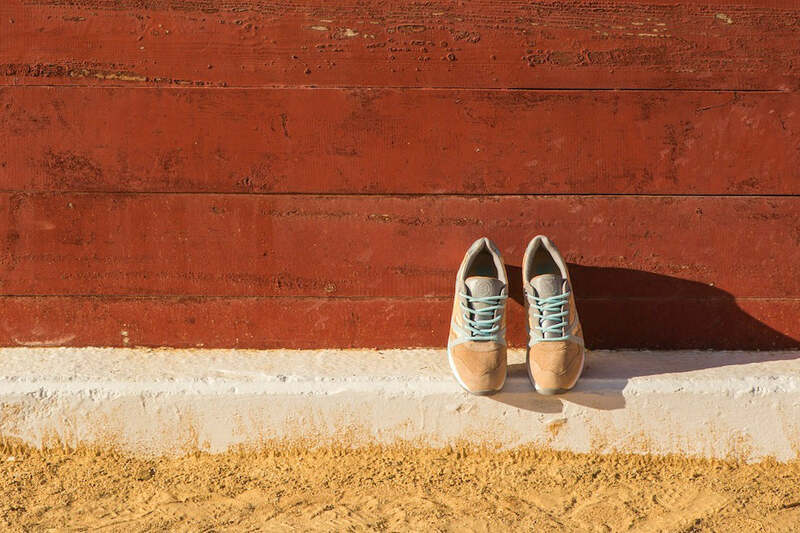 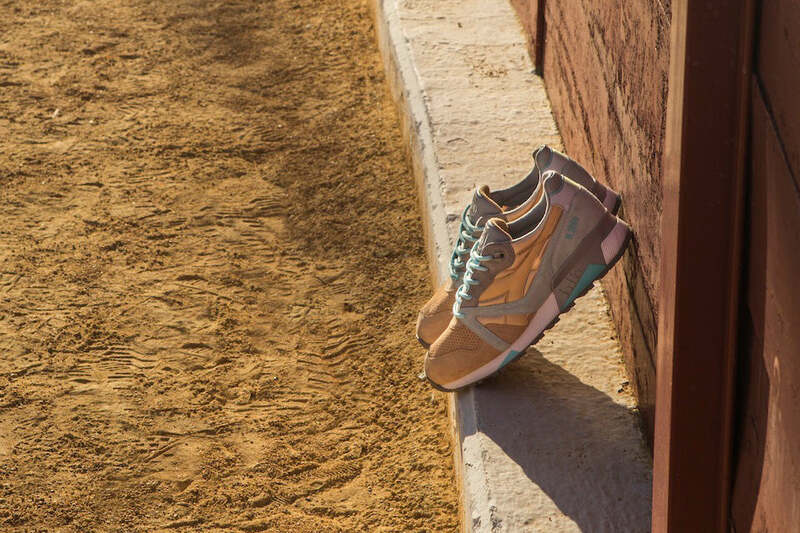 24 Kilates of Barcelona works with Diadora on the N.9000 “Sol y Sombre” Pack (Spanish for “Sun & Shadows”). 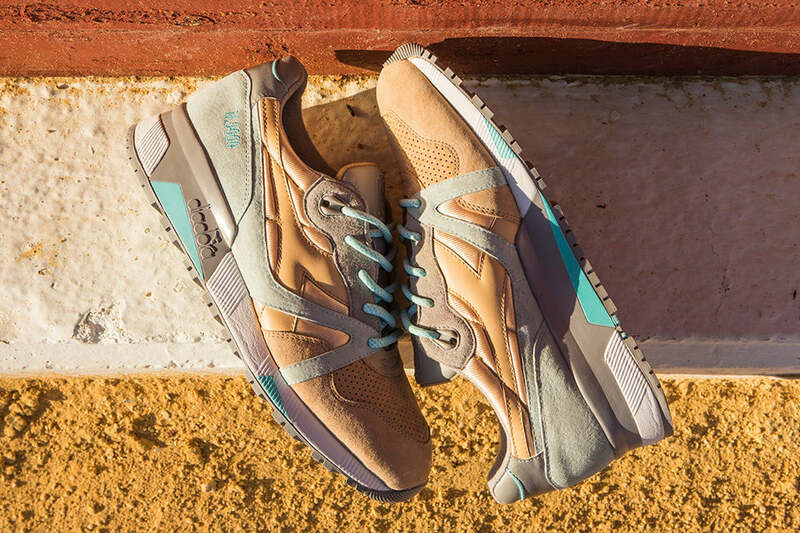 A mix of tan, mint green and various shades of grey make up the colour palette across the suede and textile upper. 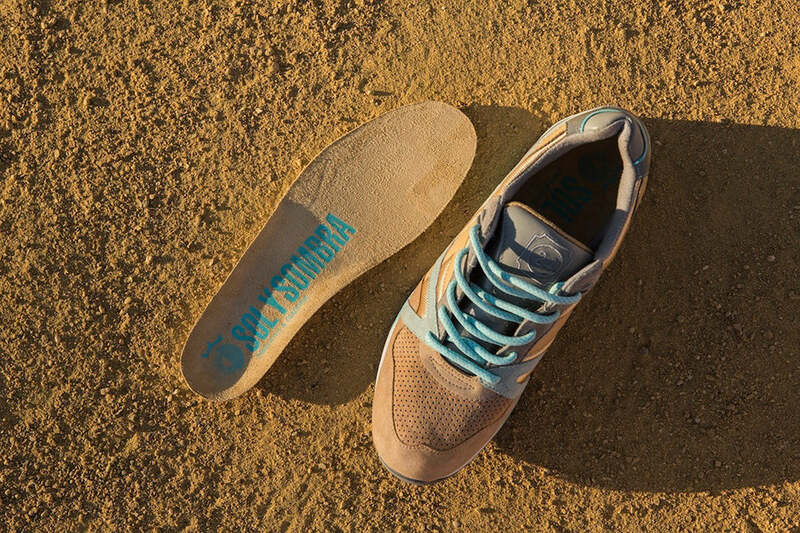 Details include a sun/shade logo on the heel and a tubular lace.